A top Syrian Kurdish commander died Sunday, several days after sustaining injuries during a U.S.-backed campaign to unseat ISIS from its de-facto Syrian capital, Raqqa. 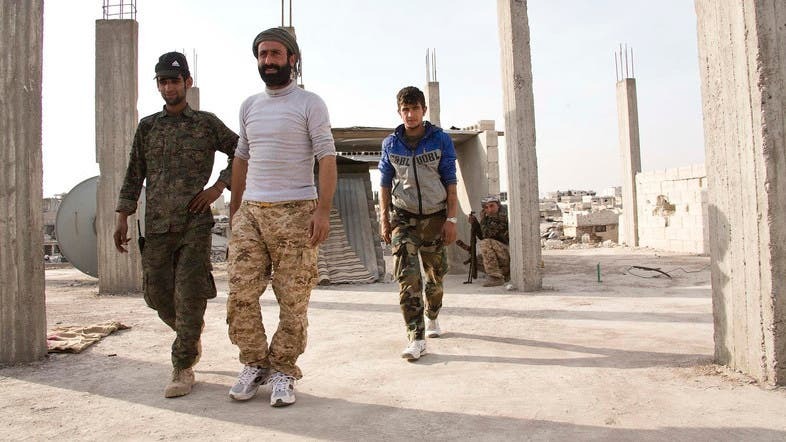 Abu Layla, who commanded a brigade inside the predominantly-Kurdish Syrian Democratic Forces, was hit by ISIS sniper fire on the outskirts of Manbij, an ISIS stronghold that controls the supply route between the Turkish border and Raqqa, the Kurdish website Rudaw said. He was evacuated by U.S. forces to a hospital in the Iraqi Kurdish city of Sulaymaniyah, where he died. The commander fought against ISIS militants in Kobani in early 2015, according to the Britain-based Syrian Observatory for Human Rights, a monitoring group. Those battles, the first major setback to the IS advance in northern Syria, were seen as instrumental to securing U.S. support for Kurdish forces in the country’s multi-layered conflict. The SDF are now advancing on Manbij, 155 kilometers (72 miles) to the northwest of Raqqa, as Syrian government forces backed by Iranian, Lebanese and Russian firepower, advance on the IS capital from the south. It is unclear whether the twin offensives were coordinated. Pro-government forces reached within 40 kilometers (25 miles) of the Tabqa Air Base, to the west of Raqqa, according to the Observatory. ISIS militants captured the base from the government in 2014, killing scores of captured soldiers. The media arm of Lebanon’s Hezbollah group, which is fighting alongside government forces, said the Syrian army took a small village 50 kilometers (31 miles) to the southwest of Tabqa air base. The twin offensive on ISIS-strongholds in Syria coincides with a military operation in neighboring Iraq on Fallujah, one of the most important cities still held by the militant group. Government and Russian airstrikes meanwhile killed at least 23 people in opposition-held parts of Aleppo, once Syria’s largest city and former commercial capital, activists said, and killed or wounded dozens more in Idlib, a rebel-held city in the country’s northwest. The Civil Defense, a first responder group that operates in rebel-held areas, reported 50 airstrikes in Aleppo on Sunday. The Local Coordination Committees, an activist network, said the strikes killed at least 30 people. The Syrian Observatory for Human Rights put the toll at 23. Activists reported that a war plane crashed south of Aleppo. It was not immediately clear whether the plane had malfunctioned or had been shot down, according to the Britain-based Syrian Observatory for Human Rights monitoring group. The activist Local Coordination Committees network said rebels shot the plane down near Khalasa, where a coalition of opposition fighters and al-Qaida linked insurgents have eroded government control over the past two months. Aleppo has been divided between government and opposition control since 2012.